A local advocacy group for the disabled is urging the government to fulfill its promise to abolish a disability grading system. The group, Solidarity Against Disability Discrimination, raised concern over the issue at a press conference in Seoul on Wednesday, saying all disabled people in the nation deserve full rights as human beings. Although the Moon Jae-in administration announced in March that it will gradually put an end to the system, the group said the government has been delaying a decision on readjusting income-related benefits, and cast doubt on whether it will be handled before the president's term ends. It also criticized a plan to introduce a “comprehensive judgment tool” next year to determine people’s disability, expressing concerns that it may become another grading system under a different name. In March, Prime Minister Lee Nak-yon announced the government’s plan to phase out the disability grading system. Under the system, every disabled person in the country is categorized into six different grades and subject to different policy benefits. 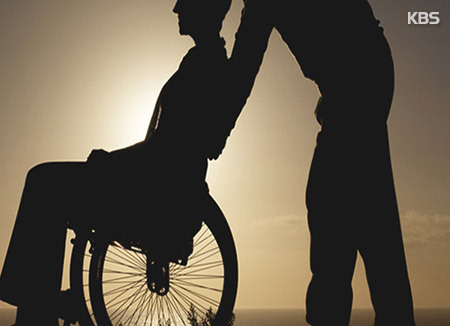 Advocacy groups for the disabled argue that it does not take into account individual demands, and have called instead for a need-centered approach.